The 2016 Census reported on the changing distribution of Australians’ religious identity. This might prompt some to ask: what is religion? How is religion related to spirituality? And what does the census tell us about this? Defining religion has exercised the minds of many, and the results are far from satisfying. Spirituality is not much better. Most definitions reflect the proposer’s religious origins. an association with the state? Further reading: Census 2016 reveals Australia is becoming much more diverse – but can we trust the data? The Australian Bureau of Statistics (ABS) defines religion according to the finding of the High Court. In 1983, it held that “the beliefs, practices and observances of the Church of the New Faith (Scientology) were a religion in Victoria”. For the purposes of the law, the criteria of religion are twofold: first, belief in a Supernatural Being, Thing or Principle; and second, the acceptance of canons of conduct in order to give effect to that belief, though canons of conduct which offend against the ordinary laws are outside the area of any immunity, privilege or right conferred on the grounds of religion. Buddhism, a religion that denies the existence of a deity, the afterlife and is very differently organised, pushes the boundaries of a definition for those more accustomed to Judaism, Christianity and Islam. However, formally organised forms of religion are only one part of the picture of religion in Australia. In the past few decades spirituality has become popular, in part as an alternative to religion – a way to have the benefits of religion without having to belong to a religion. First, it must be noted that the term “spirituality” has a long history of use within Christianity and in particular in the Roman Catholic Church, which maintains centuries’ old traditions of spiritual practice – Benedictine and Ignatian, for example. Similarly, in Islam, Sufi spirituality refers to a centuries-old form of mystical religious practice. While spiritualities have a long history, the term spirituality has more recently come to refer to the generic in religion minus the organisational, historical and clerical trappings. The one-in-five Australians who say they are spiritual without being religious tend to be seeking connection with something that is greater than themselves: a cosmic sense of caring, a powerful but benevolent presence that attends to them, provides guidance, gives hope, shares joys and comforts in sorrow. taking responsibility for their own spiritual life and development. The ABS has category 7 in its classification of religious groups “Secular Beliefs and Other Spiritual Beliefs and No Religious Affiliation” to begin to capture the dimension of religion and spirituality not associated with formally organised religions. That it includes atheists, those who declare multiple religious affiliations, and “other spiritual beliefs” indicates the rich diversity of this category – most of whom by far indicated “no religion”. Some Category 7 responses reflect elements of popular culture with cosmic, moral and heroic themes such as Star Wars, Star Trek, and The Ring Trilogy. 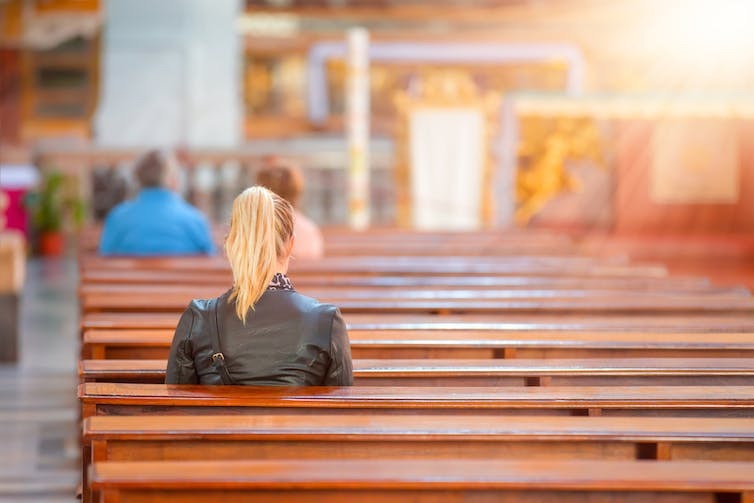 The census asks Australians, “What is the person’s religion?” The answer indicates a person’s religious identity, not their beliefs or practices or participation patterns; just identity. Religious identity does indicate an association with a particular culture. Differences associated with religious identity used to be quite marked and are still detectable. Giving your religious identity as “none” means at the least that you do not associate yourself with any particular organised form of religion – no church, mosque, temple, or denomination. It has also become associated with being younger, more progressive and inclusive and accepting than those who nominate a religious identity. “Nones” are not atheists, nor necessarily anti-religious. They are just not affiliated with a formally organised religion.